Water movement can change the movement of the bass and start or stop the pressman migratory run to the shallow water spawning bed. One of the best tools to use to get updated info on your water levels is the Army Corp of Engineers river gauge reader. This reader is the actual water level read out that the Army Corp Lockmasters has allowed to flow in and out of the locks. This read out can change every day or every hour. You can get this piece of info by going to the Army Corps Website or calling your local river lockmaster! 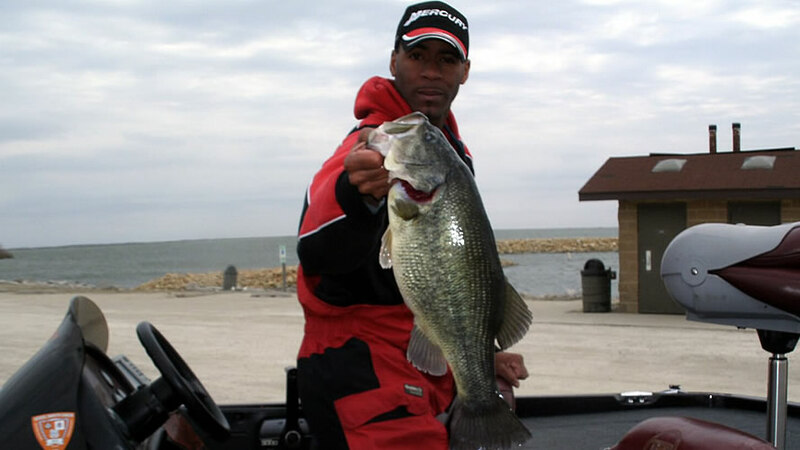 This information tells you how much water flow have come in & how much water is flowing out of those locks, you can use that information to help make better decisions on where the bass will move into to, and where the bass will spawn. When bass move up to spawn & the water flow is strong and rising, normally the bass are easier to catch, but with high water comes dirty water so sight fishing becomes impossible. When bass move in to spawn & the water levels start to drop the bass don’t leave their beds, however bass become very spooky so you have to make long casts & use finesse presentations to get them to bite. Some the lures I like to use are finesse worms, Sinkos and my favorite is a Horny Toad lure. Mainly, I use baits that don’t make a lot of noise. Bass don’t like strong currents when it comes to spawning time so look for areas that don’t have a lot current when looking for spawning bass (canals, chutes, backwater areas & any current break areas). When water levels are low during the spawn look for areas with quick access to deeper water (bluffs, points, deeper pockets & marinas). Knowing your river current flow by checking your water levels will give you a better understanding on where to concentrate your time to get the most productive bite!!! !